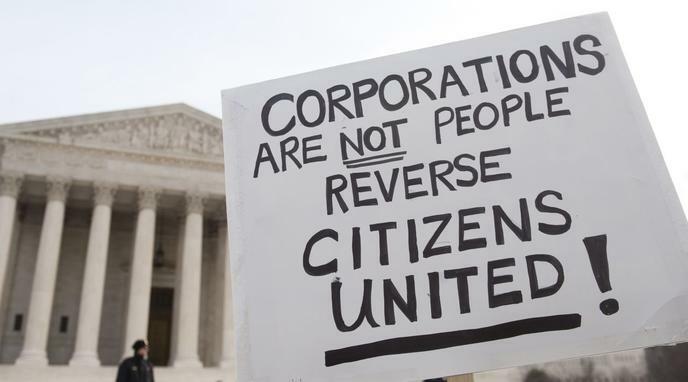 Citizens United Was Wrongly Decided. Bipartisan Campaign Reform Act (BCRA) - the law which Citizens United partially struck down - did not significantly restrict free speech. The government has a compelling interest in limiting money in politics. Citizens United could have been easily defeated with a three sentence argument, and a new rule. Argument; yes money is speech. The amount of money is merely the volume of said speech. Nothing gives any individual the right to have the loudest voice. Rule; individuals may only contribute a certain amount during any election cycle. Corporations and unions are people and thus have free speech protections. Freedom of Speech is a fundamental value and must be protected. A prohibition on "electioneering communications" is a vague standard that could be manipulated by the administration in power to silence only that administration's critics. The US political system is better with more spending. Should citizens be able to crowdsource laws? Should Hate Speech Be Legally Protected? Should Election Campaigns only be Funded by the Government?